Car loan for bridge financing purposes to those who have business and needs super quick cash to expand scope of market or invest in putting up another branch for your business. This type of secured collateral credit is also ideal for fund extension due to uncollected payments from clients. Our span of loan borrowers range from consignment type of income business to small and medium enterprise construction and contracting companies as well as leasing, renting and logistics businesses in the Philippines. Who Can Apply for Car Loan? Car Impounding Loan – Fast Cash in 1-3 Hours! Need super fast cash to fund a business venture or pay dues and manpower labor cost? Or maybe you need fund extension for your investment. Whether you are an individual, partnership or corporation type of business and you have 2 or more cars, you can use 1 car instead for impounding. The Car Impounding Loan is the perfect type of collateral secured loan for you. 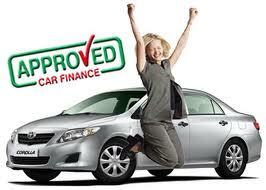 Available with very minimal requirements, you can get 1 day car loan cash release via impounding. Whether you have your own checking account or not, we will make sure you get your cash loan in 1-3 hours! With very low interest rate at 1.3% and up to 36 months payment term, we accept business owners who are in need of buying a new or second hand truck to expand operation of business but who doesn’t have full cash money to buy it in specified amount by sellers or dealers. Let us give you that advantage via truck financing loan. Here, all you need is to show us your source of income or capacity to pay and we will find you a provider willing to extend financing your next truck whether it may be brand new or second hand (used). Call us now for particulars and requirements.